K'NEX Super Mario Figure Pack Only $5.99 Plus FREE Shipping! You are here: Home / Great Deals / K’NEX Super Mario Figure Pack Only $5.99 Plus FREE Shipping! K’NEX Super Mario Figure Pack Only $5.99 Plus FREE Shipping! People have loved Super Mario Brothers for decades! This Super Mario figure 3-pack comes with a total of 11 pieces. The Mario building set includes a buildable Fire Mario, a Hammer Brother figure and a mystery figure. All figures work with the entire K’NEX Super Mario building set system. 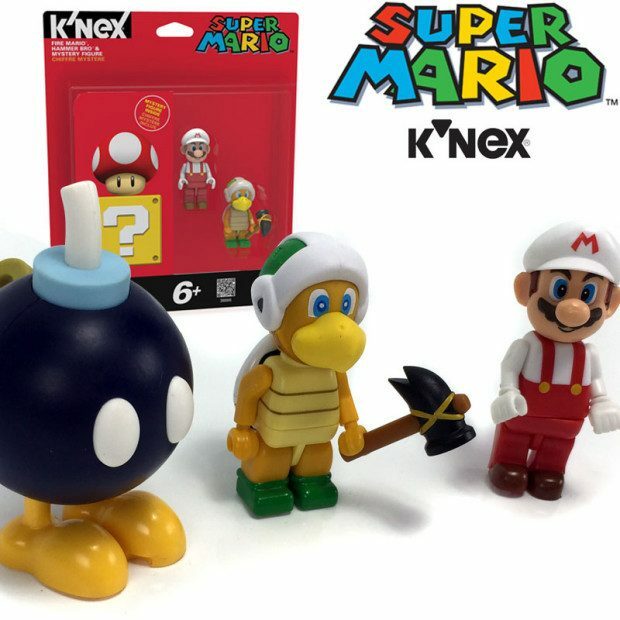 Pick up the K’NEX Super Mario Figure Pack for Only $5.99 Plus FREE Shipping!